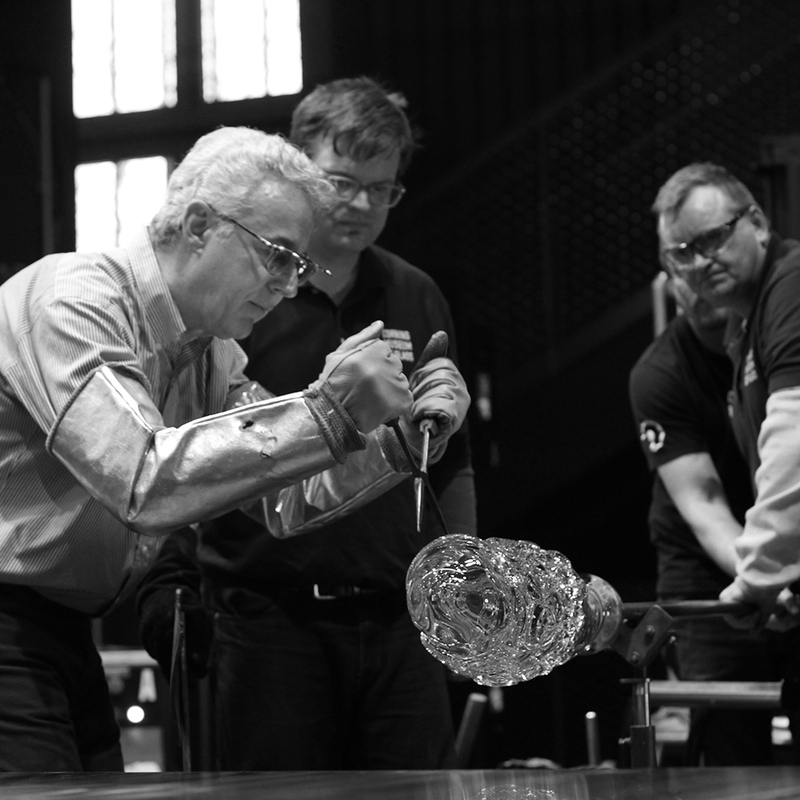 Mark Matthews has become internationally recognized for his mastery of the glass sphere. He began handling molten glass for aesthetic purposes in 1974 while studying with Henry Halem at Kent State University. The sphere, with its minimal physicality, has become the one factor unifying Matthews’ investigations of color systems and radically diverse explorations in historical glass techniques.